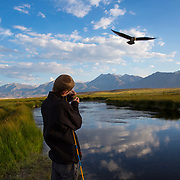 The premier photographic archive for images from Mammoth Mountain, Mammoth Lakes and the Eastern Sierra region. Please Contact Todd@ToddBigelowPhotography.com if you have any questions regarding licensing or printing. To view licensing and printing options and fees, please select an image and select "Add To Cart." 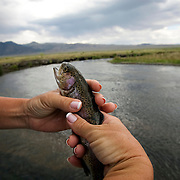 All images in this gallery are available under a Royalty Free license. What does that mean for you? RF provides you with an all encompassing license that does not restrict you to predetermined usage: * Pay once & use as often as you'd like * No restrictions, no tracking licenses * Publish across digital & print platforms * Non-exclusive * Fee determined by size of file selected * Images are model released or no release is required (eg: subject is unrecognizable). Simply click on an image, Add to Cart and select the file size. That's it! If you desire exclusivity so that others do not use the same image, please refer to the Rights Managed (RM) licensing model or contact me at LicensingCompliance@ToddBigelowPhotography.com. Thank you! This gallery represents a variety of images from in and around Mammoth Lakes, California, the Eastern Sierra destination of choice for millions of Americans and a favorite respite for Southern Californians. For licensing and printing options and fees, please select an image and choose "Add To Cart." If you have a promo code, you will have the option to use it prior to checkout. All Images are registered with the US Copyright Office. ©Todd Bigelow Please email LicensingCompliance@ToddBigelowPhotography.com with your inquiries. 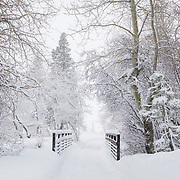 This gallery represents a variety of Winter lifestyle themed images from in and around Mammoth Lakes, California and the Eastern Sierras. To view licensing and printing options and fees, please select an image and select "Add To Cart." All Images are registered with the US Copyright Office. ©Todd Bigelow Please email LicensingCompliance@ToddBigelowPhotography.com with your inquiries. 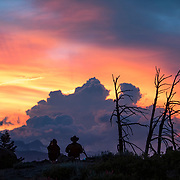 This gallery represents a variety of nature and natural landscape themed images from in and around Mammoth Lakes, California and the Eastern Sierras. To view licensing and printing options and fees, please select an image and select "Add To Cart." All Images are registered with the US Copyright Office. ©Todd Bigelow Please email LicensingCompliance@ToddBigelowPhotography.com with your inquiries. This gallery represents a variety of active lifestyle themed images from in and around Mammoth Lakes, California and the Eastern Sierras. To view licensing and printing options and fees, please select an image and select "Add To Cart." All Images are registered with the US Copyright Office. ©Todd Bigelow Please email LicensingCompliance@ToddBigelowPhotography.com with your inquiries. 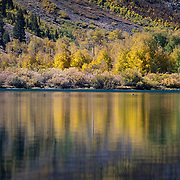 This gallery represents a variety of Fall themed images from in and around Mammoth Lakes, California and the Eastern Sierras. To view licensing and printing options and fees, please select an image and select "Add To Cart." All Images are registered with the US Copyright Office. ©Todd Bigelow Please email LicensingCompliance@ToddBigelowPhotography.com with your inquiries. This gallery represents a variety of adventure themed images from in and around Mammoth Lakes, California and the Eastern Sierras. To view licensing and printing options and fees, please select an image and select "Add To Cart." All Images are registered with the US Copyright Office. ©Todd Bigelow Please email LicensingCompliance@ToddBigelowPhotography.com with your inquiries.